every profession is a conspiracy against the laity: A nation under siege? I have been following politics for such a long time that I cannot even recall when it began. This trump era is unlike anything that I have experienced. Even something as trivial as a handshake. Political leaders shaking hands is not news. But, trump's strange handshake maneuvers became newsworthy! And it leaves a mark. Literally. The presidents of France and the US shook hands. And then this happened. 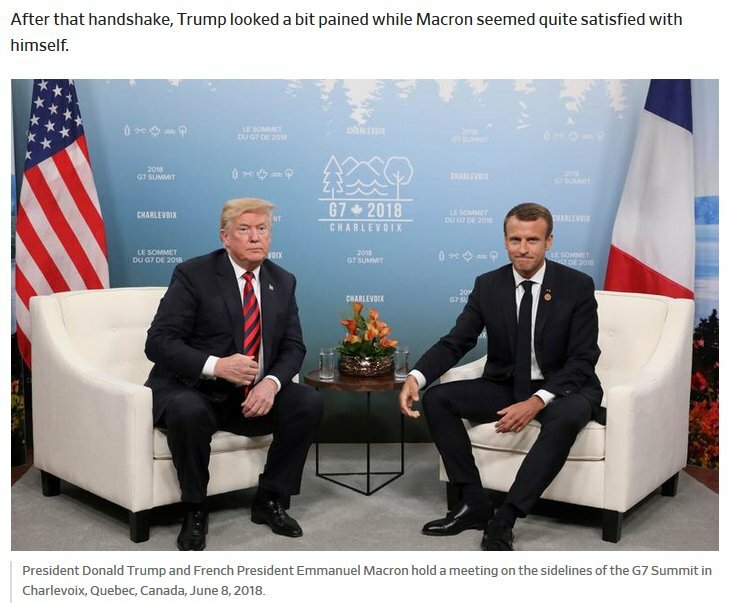 French President Emmanuel Macron was at it again Friday night, showing the world that he could beat President Donald Trump at his own crazy handshake antics. Yep, handshakes are news now, thanks to the madman. 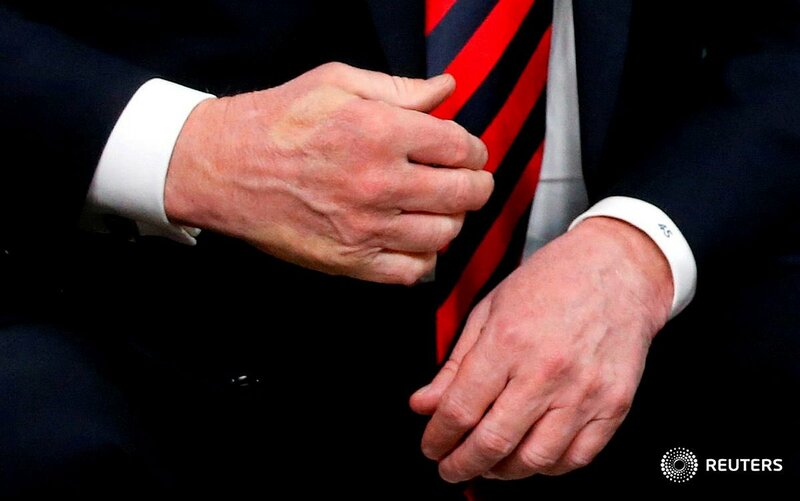 Macron left an imprint on trump! I worry that my downtime is being consumed by trump news. But, that's what happens when such a madman is in power. People in many other countries have experienced similar situations for a very long time. Orwell suggests one more way in which totalitarianism kills writing. “Serious prose,” he writes, “has to be composed in solitude.” Totalitarianism, as Arendt famously wrote, eliminates the space between humans, turning them into One Man of gigantic proportions. Separately, she spoke about the peculiar illusion of warmth and closeness that totalitarianism engenders. Totalitarian societies mobilize everyone. Supporters of the regime may be gathered in the big square, chanting their support for the leader, but opponents band together in tiny clumps that are always under siege, always in struggle to hold on to a patch of knowable truth. Always under siege, and in a struggle to hold on to truth. Sounds familiar, right? In this siege mentality, I am not sure I want to delight in thumb wars, even though they do give me momentary relief like the warmth that we could get from peeing on ourselves when it is cold! I can't wait to be free again so that my mind can wander about on all things profound and inane.